Provost and Vice President of Academic Affairs Ellen Junn has accepted an offer to become provost at California State University, Dominguez Hills. Her last day at SJSU will be Jan. 17. “I would like to extend my heartfelt thanks to everyone in the SJSU community,” Junn said. 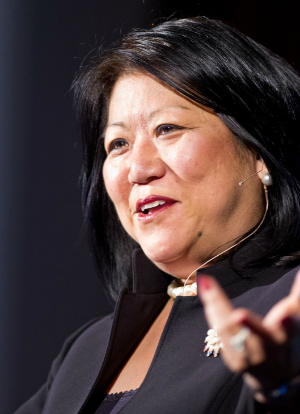 Prior to coming to San Jose, Junn served at CSU Fresno, where she established a center for the advancement of teaching and learning, reconfigured academic technology, and secured WASC accreditation and approval for a variety of new graduate, doctoral, international and online degree programs. “San Jose State has gained much from Ellen’s passion for fostering student success,” President Mohammad Qayoumi said. Arriving at SJSU in January 2012, Junn re-energized SJSU’s graduation rate initiative, developed the university’s academic plan through 2017, and established departmental grants designed to improve retention and graduation rates while supporting new methods of teaching and learning. Qayoumi has begun seeking input on a succession plan, and will name an interim provost prior to Junn’s departure.